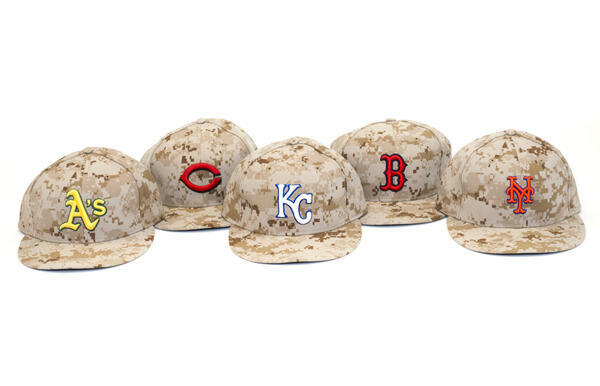 Last year, MLB had teams wear a digital camouflage cap for Memorial Day and Independence Day. This year for Memorial Day, it’s a full-on camouflage. This is the first time teams will wear an outfit like this. In years past, it was various versions of the red, white and blue colors. Last year was the first time it was a camouflage design and it appears that they’re running out of ideas. Now that the red, white and blue idea has been dried, camouflage seems to be the way to go. This reminds me of the Padres camouflage uniform. 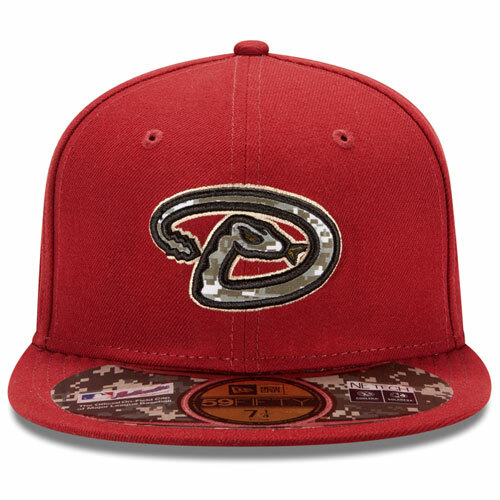 I doubt MLB teams will have a corresponding uniform, but this is clearly an attempt to really milk out our emotions for the troops and veterans. But I will say this. Last year, all proceeds from sales went to benefit the military. If it’s the same this year, then these designs are justified. It appears that this will only be for Memorial Day and Independence Day will likely feature another cap. We’ll just have to watch and see what happens with that design. As some of you know, the Dolphins are getting a new uniform and logo and the leaks are out. According to the Miami Herald, these leaks are accurate and that is the new Dolphins logo. The theme will carry on and now the Dolphins will add white face masks to the look for the first time. The white face masks will make Miami only the second NFL franchise with that look, as Kansas City also uses white. Is there hope for the Kings to stay in Sacramento? Maybe. I have never actually seen the Kings play in Sacramento ever before and I don’t want them to move. Voting has already begun. Click to enlarge. During the offseason, it was expected that the Cardinals would make their red cap their full-time look for their home and road games. Instead they confirmed that the navy caps were still going to be used. 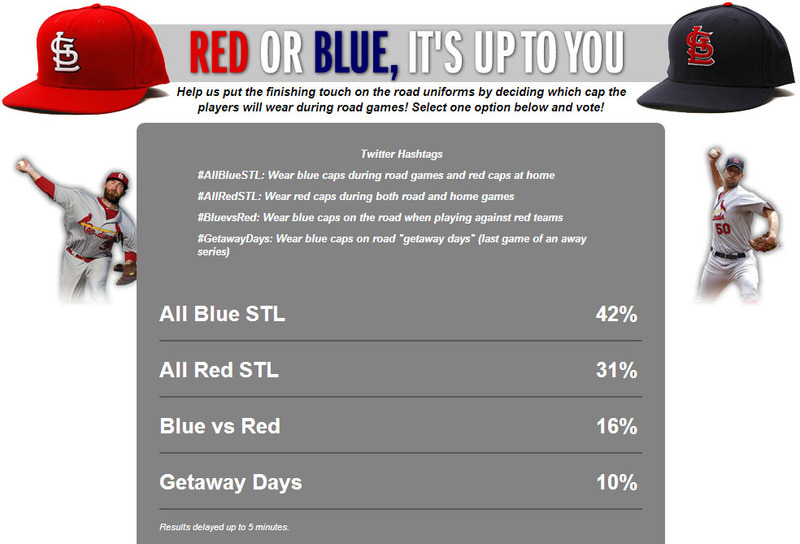 Now the team will let the fans decide when those caps will be worn. They’ve set up a poll on their site to let the fans decide which combination will be used. By the looks of it (as you can see by the screen shot I took several minutes ago) the original look they’ve had for years appears to be staying. But who knows what the fans will decide on. Dwight Howard, why do you have to be so soft? It looked like Lee was going up for a shot and it was accidental. How about you be a better basketball player? Make your free throws, hustle for the ball, improve your jump shot and stop being weak? I used to respect your game but your mentality in recent years really isn’t healthy. Wait, what? A urinal video game at a ballpark? So this was brought to my attention this morning. The Triple-A Lehigh Valley IronPigs are going to install a urinal video game. I was confused as to what that was, so the above video helped me understand a little. Minor League teams have always done weird, interesting things to get the attention of their fans. I like that about them. But this? Does peeing have to be an adventure? Apparently so. Attracting the kids or the adults for that matter with this is very strange and I am sure the team could spend the money wisely on other things. But then again, it looks fun. Probably this encourages people to stay hydrated, which is always a good thing. I’ve always wondered when a day like this would happen. There have been times when players have come out after retirement. But this is a bold move if it’s done and I applaud it. I think for the most part, the players of the NFL wouldn’t make it difficult for a player to come out. The problem will always be everything else. From the judgment of fans or just the media reaction, it could become a circus that could be more damaging to a career than an injury on the field.